Ireland Travel – a Four-leaf Clover Europe Tour to be sure! 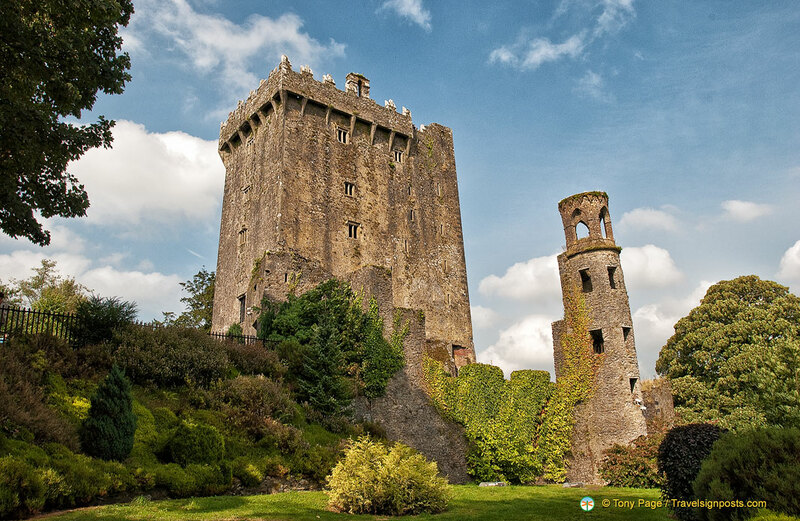 Blarney Castle – the Blarney Stone is at the top! Ireland travel is remarkably relaxing. Somehow, the pace of an Irish tour, no matter how crammed full of sights and activities, seems slower and more leisurely than travelling elsewhere in Europe. Ireland may have a thriving, world-class IT industry, but in the countryside and villages life still has a certain unhurried, picture-book quality; somehow I feel it would be more fitting to be travelling around in a horse and buggy than a car or luxury motor coach. Touring Ireland is essentially a rural, even bucolic experience. To be sure, there are major cities like Dublin and Belfast, but with a total population of just 3.9 million in Eire (including 1.5 million in Dublin) and 1.6 million in Northern Ireland it’s obvious there’s plenty of room to move in the countryside. Travel Ireland by car and you’ll gain new respect for the roads and signage in your own neighbourhood, but in a way, it’s all part of the fun. Historically, Ireland has been divided into four provinces: Munster (6 counties) in the south; Leinster (12 counties) in the east; Connacht (5 counties) in the west; and Ulster (9 counties) in the north which is still part of the United Kingdom and is called Northern Ireland. To give you an idea of the size of the country, its greatest length is 485 km (302 miles), its greatest width 304 km (189 miles), and its coastline extends for over 5,631 km (3,500 miles). Ireland, home of the Little People and Celtic myths, has a magical quality to it, whether you’re gazing across the Giant’s Causeway, wandering past colourfully painted cottages in a village street, or crammed into a crowded Irish pub with a pint of Guinness in your fist and the music of a traditional Irish fiddle band in your ears.